I have to admit that I felt a little bit giddy yesterday when my UniSG colleague Lydia Itoi pointed out the sprawling Facebook campus to me (Lydia and I will be co-teaching an English-language seminar later this year in the University of Gastronomic Sciences Master’s in Food Culture program in Piedmont). 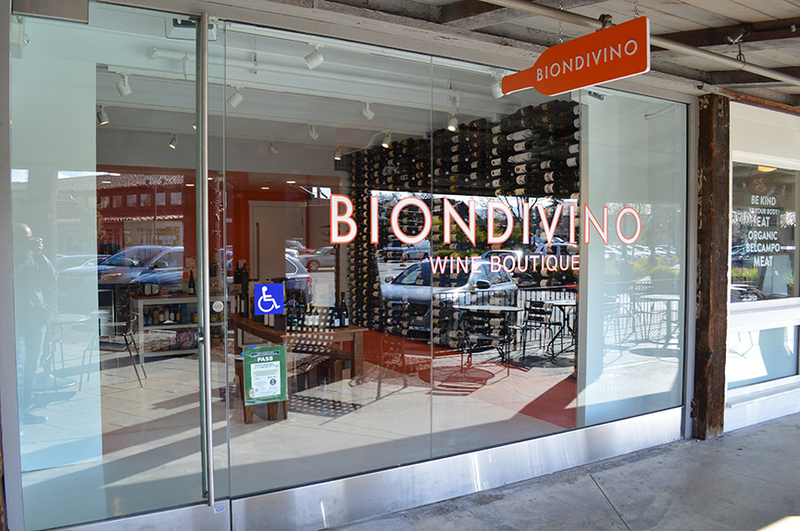 She, her husband, and I had just met for lunch in the Town & Country Village mall, a stone’s throw from the Stanford campus and the new home for Ceri Smith’s Biondivino wine shop (opened last month). I first met Ceri nine years ago not long after she had opened her first shop in San Francisco’s Russian Hill neighborhood. Since that time, Ceri and her small but immensely influential wine store have become a flash point in the Italian wine renaissance in the U.S.
Name a top Italian winemaker and it’s more than likely that she or he has presented her or his wines at Biondivino. Having one’s wine appear on Ceri’s shelves has become an unabashed point of pride for the Italians tapped by her shop’s Midas finger. As a lover and advocate of Italian wine, I am thrilled to see her expanding her brand to Silicon Valley where some of the brightest people on earth are trying to figure out what’s going to come next in a crazy mixed-up world increasingly shaped by the unstoppable march of progress. Ceri’s been one of the world’s greatest advocates of wines produced without and despite technology. It’s no small irony that her shop lies in the shadow of Stanford University, one of the world’s centers for technologic advancement. Maybe her tastes will inspire them to figure out why uninoculated Sangiovese tastes better (at least to some of us) than the inoculated kind. Or maybe they’ll just mindlessly lap up the delicious offerings that line her walls like grape clusters on a double-Guyot-trained vine. 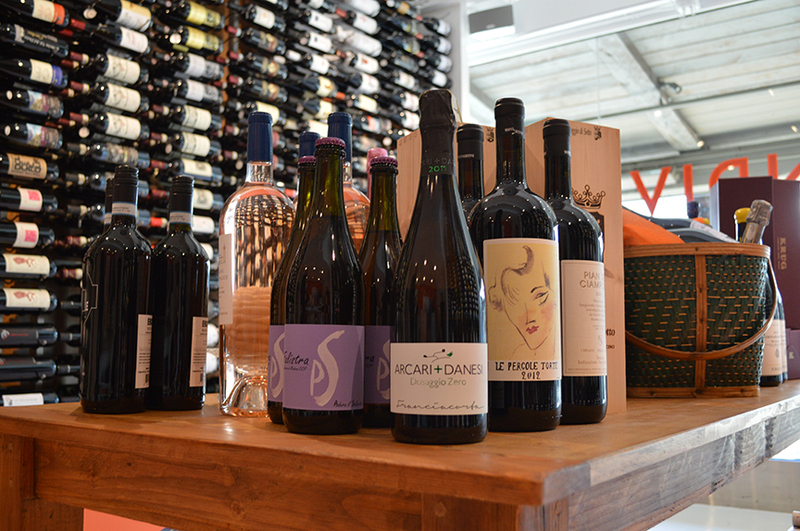 Either way, Ceri’s expanding university of great Italian wines is sure to make the world a better place. Congratulations to Ceri and business partner Shelley Ryan for the launch of the new shop! I see what you did there with that natty Franciacorta in pole position :-). Would love to try one day.